Don’t know a periapical from a bitewing? Our team of dental artisans at Pediatric Dental Center, certainly do and we’re happy to provide some insight and education about dental X-rays. Afterall, we consider it an honor to serve as a leading pediatric dentist in the Greater Cincinnati area, including Northern Kentucky, Southeast Indiana and Cincinnati. If you have ever stood in a huge camera apparatus and struggled to stay still while an automated camera made one slow pass around your head, then you have had a panoramic X-ray taken. These pictures help dentists see everything in one image: the entire upper and lower jaw. They are especially helpful for analyzing jaw injuries and seeing emerging teeth in children. These are often taken during a child’s first visit to Pediatric Dental Center. 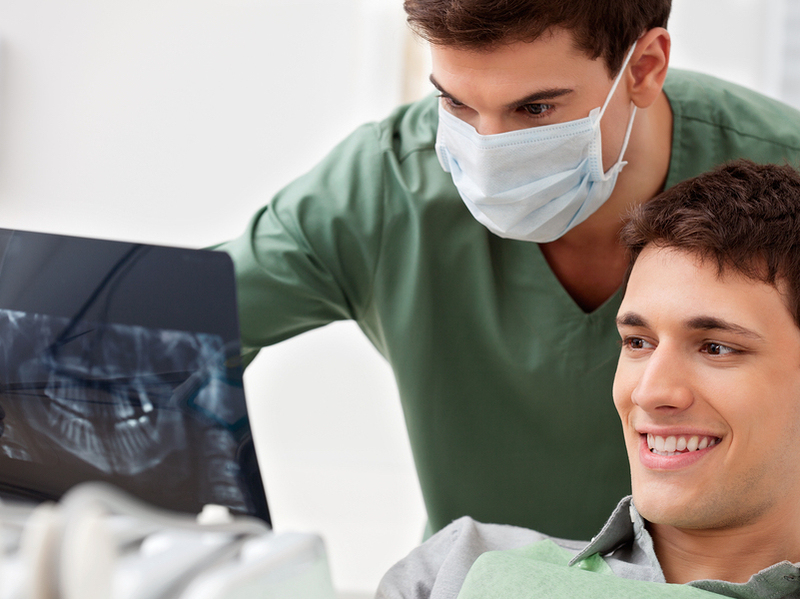 Bitewing X-rays helps the dentist see what’s going on between teeth—something that is always necessary, but impossible with a visual exam. They also help your dentist evaluate the jaw bone. These are similar to bite wings but they can get a more distinct picture of the tooth roots and bone. These are ordinarily used to help diagnose an abscess in the root of a tooth. This is a combination of periapical and bitewing X-rays. It gives a highly-detailed picture of all the teeth and the surrounding bone structure. We hope you have learned a little bit about dental X-rays, one of our indispensable tools in providing unsurpassed dental care. And we want you to know that if your child is a patient at Pediatric Dental Center, you need not worry about the safety of dental X-rays. We invite you to discuss your concerns with our friendly staff. We will take the time to explain all of the precautions that we take to reduce radiation exposure to your child and answer any questions you may have. Call us today for more information and to schedule an appointment!